The Evangelos Florakis Naval Base explosion was the worst peacetime military accident ever recorded in Cyprus. EKEO’s Director was the first to analyze its possible tremendous repercussions on the Cypriot Economy which, according to today’s news from the European Parliament, were totally justified. European finance ministers have agreed an £8.7bn bailout for Cyprus which includes all Cypriot bank customers handing over up to 10% of their savings. The military accident occurred on 11 July 2011, when 98 containers of explosives that had been stored for 2½ years in the sun on the Evangelos Florakis Naval Base near Zygi self-detonated. The resulting explosion killed 13 people, 12 of them immediately while a further 62 people were injured. The explosion had economic effects of unprecedented proportions. Of Cyprus’ US$24.66bn economy, the EU estimates that the cost of explosion to the island could amount to US$2.83bn, with cost of the power plant itself coming to US$992m. This was weeks before the Bank of Cyprus and other business leaders said “deep spending cuts are needed fast. The Cypriot Minister of Health requested the scientific support of EKEO’s Director, Prof. Theodore Liolios, who visited Cyprus shortly after the accident. The Head of the Hellenic Security Advisors arrived in Cyprus promptly and studied carefully the effects of the explosion providing advice and instructions to the Minister, which was subsequently acknowledged in an official letter of gratitude sent both to EKEO and to the Hellenic Army Academy (where Dr. Theodore Liolios is an Assoc. Professor and Director of the Physical Sciences Director). EKEO’s Director appeared at that time on the Greek and Cypriot national channel TV predicting that the accident would have tremendous repercussions on the Economy of Cyprus and that among others Tourism would suffer due to international security concerns. Unfortunately, EKEO’s Director was right and finally Cyprus didn’t manage to recover despite the Cypriot Government efforts. The vodcast shows Prof. Theodore Liolios (Hellenic Security Advisors) being interviewed by Cypriot media about the accident (several months after the explosion). 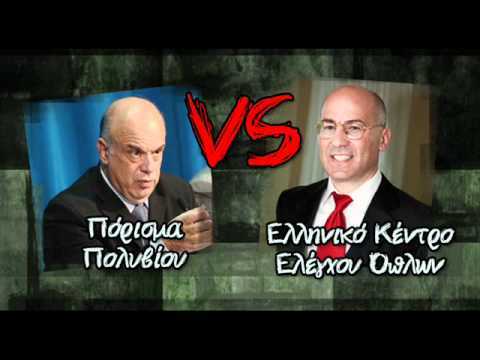 Το άρθρο δημοσιεύτηκε Σάββατο, Μάρτιος 16th, 2013 στις 22:35 στην κατηγορία ΣΤΡΑΤΙΩΤΙΚΑ ΑΤΥΧΗΜΑΤΑ. Μπορείς να παρακολουθείς τα σχόλια χρησιμοποιώντας το RSS 2.0 feed. Τα σχόλια είναι κλειστά, αλλά μπορείς να αφήσεις ένα trackback από το site σου.